Want to use less energy and lower your power bills? Energy efficiency means using less energy in your home to do the same things as you normally would, but while reducing your home’s energy waste and saving money at the same time. To increase your energy efficiency, you should become aware of how your energy is used, where it’s wasted, and how it can be used more efficiently in everyday life. Here are some tips on how to have a more energy-efficient home. If you are shopping for new appliances, look for appliances that have the HE logo. These are the energy star certified appliances that use less energy, and while they may cost you a bit more, in the beginning, it is much more of an investment for you in the bigger picture. Over time, it will save you more money when running your appliances. Older light bulbs in your home may be using much more energy than you have to. This is why so many people are switching to compact fluorescent bulbs (CFLs). CFLs may cost a bit more up front, you end up saving money over time. They will last up to 12 times longer than a regular incandescent bulb, and you can even mix them up and it will still have a dramatic difference in your overall use of energy. A programmable thermostat is another smart and efficient way to decrease energy usage in your home. When you’re away or out of the house, set the thermostat to a higher temperature, and to a lower temperature in cooler months. A programmable thermostat will not cost much (some electric companies and apartment/condo complex’s offer them for free) and the money saved can be used to pay for itself in just a few months. You want to avoid overusing energy efficient appliances, or any other appliances for that matter. Also, try not to use your heater too much during the winter months, unless you have to. Keep your thermostat at a steady, comfortable setting rather than changing it up constantly. Unplug as many things as you can when not in use because they use energy- even when they aren’t powered on. By making a few simple adjustments, you can cut electricity bills with your water heater. First, set the temperature of your water heater to a warm setting (approx. 120°F – 130°F). You don’t need water in your home any hotter than this setting to wash your clothes and dishes. Second, use easy to install low-flow fixtures for showers and baths, and last, insulate your hot water pipes to keep them from cooling off too quickly. The best solution on how to have a more energy-efficient home is to call an energy an energy auditor. 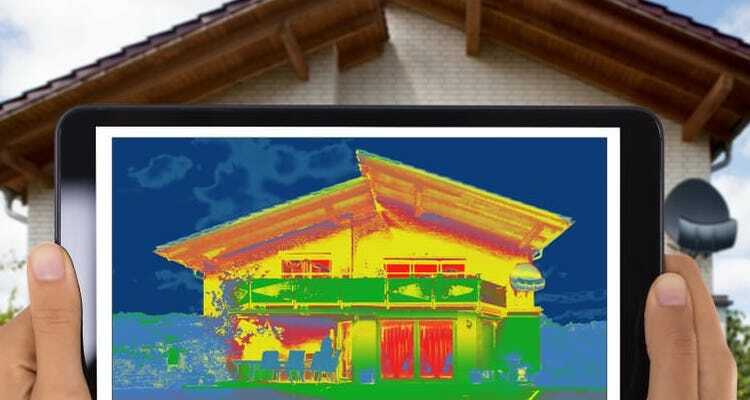 They will check where your home currently stands in terms of energy efficiency and are equipped with specialized tools and skills that can help them to evaluate the energy efficiency of your home. They can also determine where efficiency can be improved by recommending any low-cost measures and solutions.